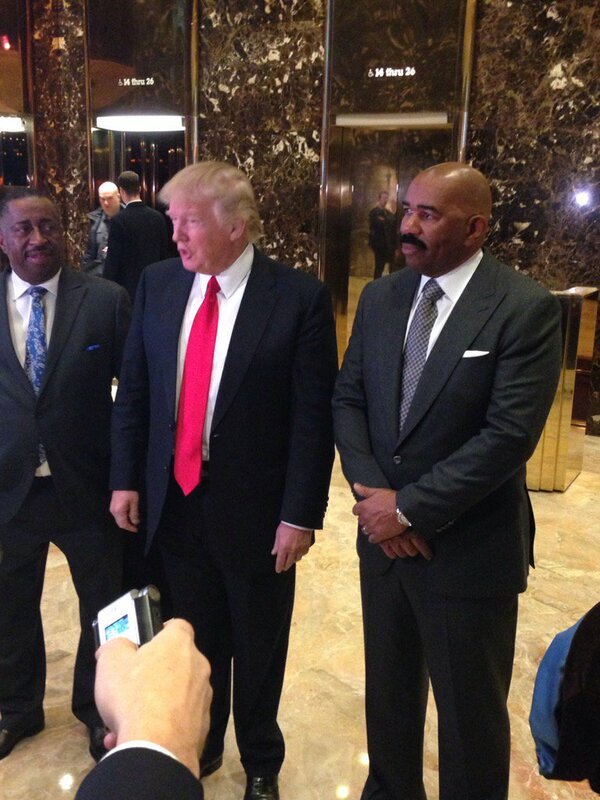 *Steve Harvey had a photo op with President-elect Donald Trump on Friday after meeting with the mogul at Trump Tower. Social media spun into a swirl of bafflement this afternoon after Trump’s spokesman Sean Spicer announced the impending arrival of the “Family Feud” host. According to The Hollywood Reporter, Harvey said he was invited by President Obama and President-elect Trump’s transition teams to discuss an initiative on housing in inner cities. “He said he wanted to do something,” Harvey said about Trump. Harvey said Trump introduced him to Ben Carson, Trump’s pick to lead the Department of Housing and Urban Development. Harvey, who voted for Hillary Clinton in the presidential election, went on his radio show the next day and shared his somber thoughts.